The ling fish baccala was equally an outstanding dish. Baccala is a traditional Mediterranean dish where the fish is salted and rested for 24 hours in milk. It is then poached and topped with cacao and pepper resulting in a milky tender piece of fish. 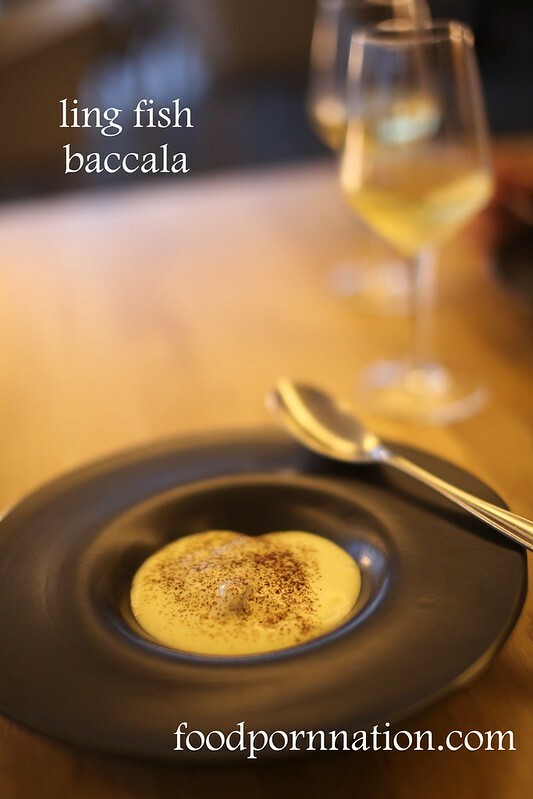 The ling baccala underwent this traditional method and was served inside a puddle of potato foam, crunchy polenta croutons pieces, enhancing the textural feel of this dish. A smooth, light and fluffy feel with sporadic bursts of crunchiness. The tortelli really showcased their handy work. Hand made to perfection and handcrafted to an exact thinness, these tortelli cases housed chunks of tender beef cheeks that melted sublimely in the mouth. This was also served with delicious dollops of fresh sheep’s milk and shaved aged ricotta, the latter taking on a very parmesan quality. Along with zucchini, zucchini flowers and a green shallot sauce. A sous vide piece of fish always gets me excited, as it always brings out the most flakey and melt in your mouth texture. The hapuka fish was simmered at 52 degrees for 1.5 hours and the end result was sublime. 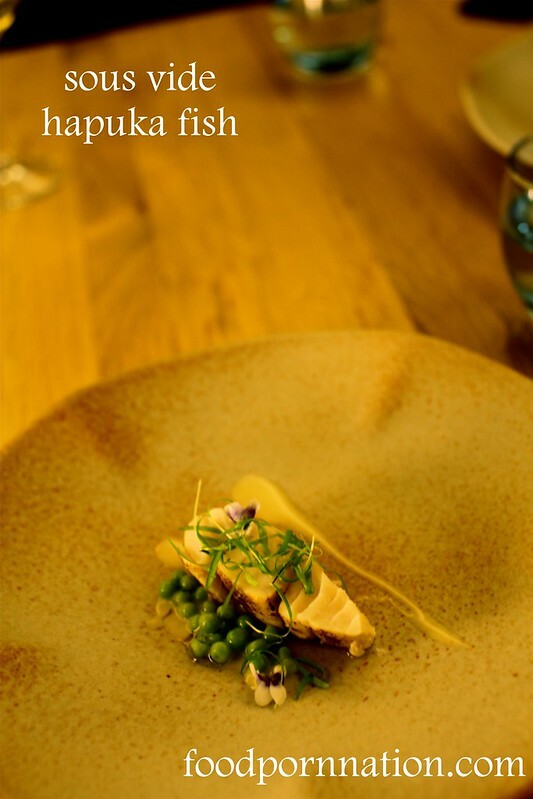 This was served with fresh peas, chervil cress and a side of charcoal tuna consomme. 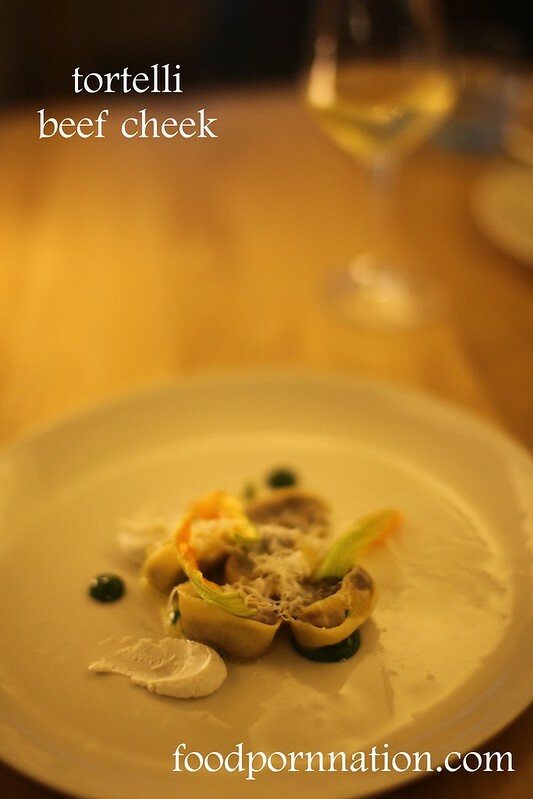 Simple yet subtle, this was a great following act after the richness of the beef tortelli. The wagyu beef flank also undergoes the 12 hour sous vide treatment imparting a brilliant rich red centre and tenderness to the beef. This dish is a very earthy dish with the heirloom carrots roasted in coffee bread crumbs, red vein sorrel and mint oil. I feel like I am eating mother earth with each bite! 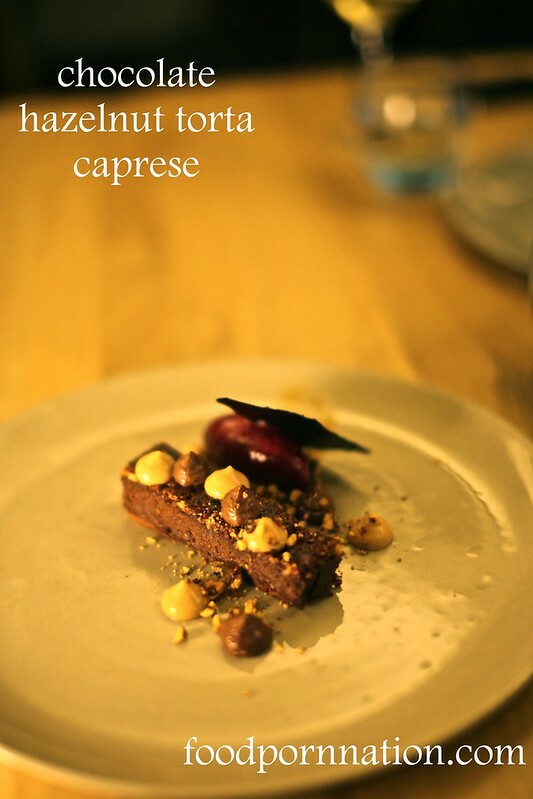 The chocolate hazelnut torta caprese is the perfect finish to this amazing meal. In it you will find a hazelnut crumble, chocolate mousse, caramel gel & blackcurrent sorbet. If you haven’t made your way yet to Ormeggio at the Spit, I would highly recommend you do so. This meal is absolutely unbeatable for a 2 Hat Restaurant. At such great value, the whole experience was flawless, a complete 3 hat experience. By the way, Alessandro Pavoni is opening another restaurant in Willoughby, Via Alta, which will be casual Italian – can’t wait to try it! Oh I didn’t know that!! How exciting!! Do u know when it will open? Yeah he bought high st bistro. They are carrying on with the current menu and I think they are swapping over to Via Alta in June. I am eagerly awaiting this opening! Same same!! I hope it’s sooner rather than later! 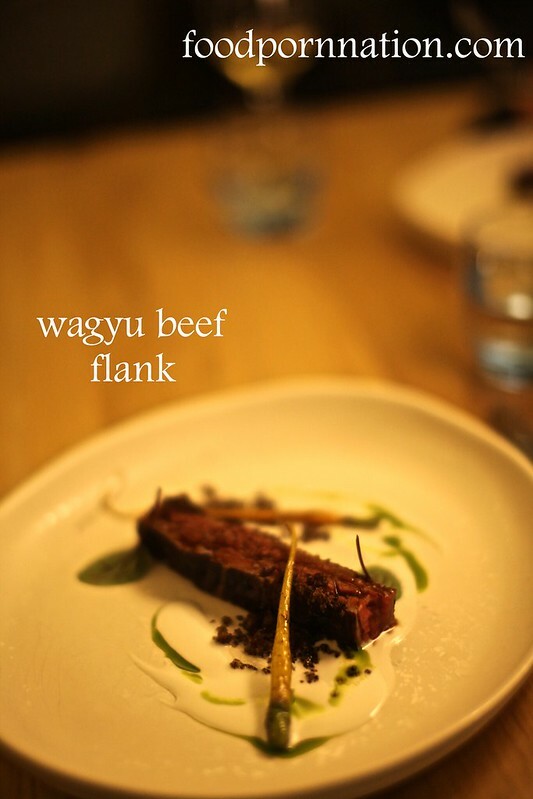 The wagyu beef flank and dessert look amazing. I know it’s incredible!! You definitely have got to go to Ormeggio. You will love it!! 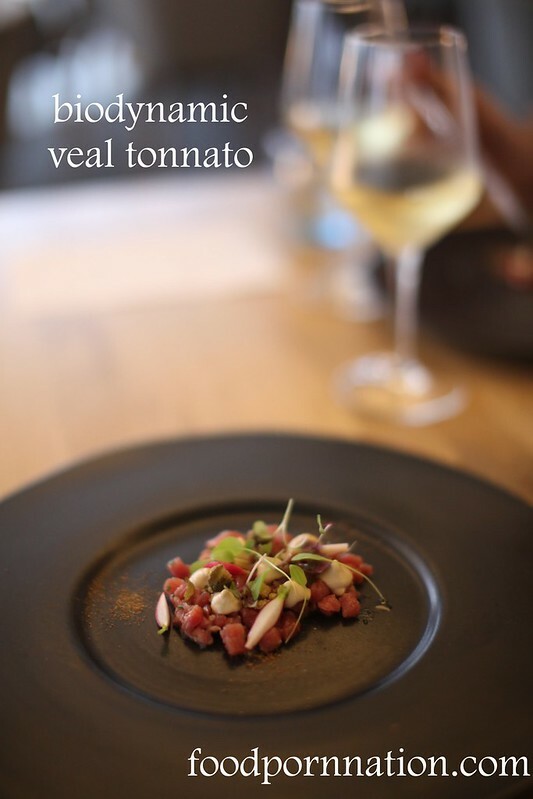 I agree, veal tonnato is an awesome dish! I will be back at Ormeggio when they swap over thir new menu for the next season. This kind of value at a 2 hatted restaurant is unheard of and can’t be passed up. This looks fantastic Priscilla. What are the portion sizes like? I do love a feeling of fullness, although the experience does look like something special and also at a great price. I thought the portions were fantastic. I dislike walking away from a meal feeling like I am going to burst. I guess, there is only one way to find out! that dessert! wahhh worth gettig off a diet for! It was so luscious! The caramel gel was to die! Ermagherd, it’s been ages since I’ve visited Ormeggio, and not even a proper visit at that. 6 course for $69 is insane for a two-hatter. This place is easily worth another trek. MOTHER’S DAY LUNCH PLANNED! I know it’s so ridiculously good value. Remember to go at night, the $69 deal is only on Sunday night. Enjoy! Ah dang, dinner will be a bit more difficult, but never let it be said I won’t break my back for good food at a great price.